Pregel Starch Powder finds extensive usage in the preparation of cold food such as dairy products, beverages, sugar varieties, confectionery items, cold mixes such as fruit and cream fillings, glazes, frostings and icing for bakery products. 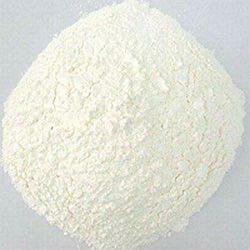 We are one of the prominent Manufacturers, Exporters and Suppliers of Pregel Starch Powder. We are efficient enough to process retail as well as bulk orders for Pregel Starch Powder event at short notice period.